DevOps continues to gain traction but most organizations are still unable to realize the full potential of its promise because their teams remain siloed using different tools. Most enterprise teams are trying to stitch together 10 or 15 different types of tools, only to discover they lack the visibility and control they need to deliver high quality products faster. “Enterprises face a tool chain crisis because it takes money and resources to get everything to work throughout the SDLC when you’re working with a collection of tools that weren’t designed to work together.” said Ashish Kuthiala, director of product marketing at GitLab. GitLab’s single application for the entire DevOps life cycle helps its customers achieve a 200 percent faster DevOps life cycle by accelerating the entire SDLC, including planning, development, testing, security, integration, releasing, configuring, and monitoring. Using GitLab, teams are able to collaborate on smaller pieces of incremental change, see the same issues, and simultaneously track progress. GitLab is used by more than 100,000 organizations and millions of users globally. In less than a year, its staff has more than doubled and its valuation has quintupled. 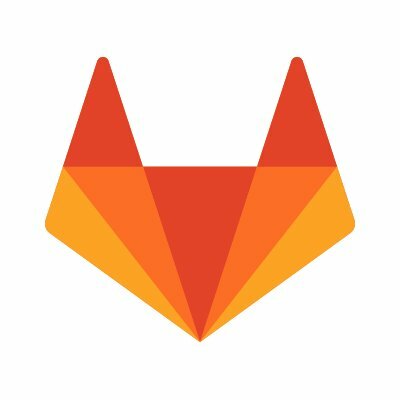 GitLab’s popularity and momentum recently attracted $100 in Series D funding which catapulted the company to $1 billion unicorn status. Like some other unicorns, GitLab has a unique culture, which in GitLab’s case is unusually transparent and allows everyone including their customers to contribute to their core product offering. Everyone can see and contribute to shaping the company’s strategy, roadmaps, meetings, and what’s being worked on. GitLab’s end-to-end visibility enables organization to seamlessly understand and improve cycle times and product quality. Further, GitLab is infrastructure and language-agnostic. The company has built GitLab to work with cloud-native and multi-cloud architectures including built-in Kubernetes integration. Effective DevOps requires high levels of automation, which GitLab enables through its Auto DevOps capability. For example, a single click triggers automated end-to end processes including scanning the code, initiating the build, running tests (including security tests), configuring the software, deploying it and monitoring it in a matter of minutes. GitLab’s effectively enables shift-left practices including security into a single merge request where dev, QA, security, and operations teams can view any code changes in a single place. In January 2018, GitLab acquired Gemnasium, a service that alerts developers to known security vulnerabilities in open source libraries. That way, software teams don’t have to implement separate security products that further complicate the tool chain and cause yet more unnecessary delays. Meeting compliance requirements is also easier to do with GitLab. Companies using disparate tools can require months to prepare for audits. With GitLab, the data is available in one place, which avoids desperate searches for missing information. Ticketmaster has realized 15X speed improvement using GitLab. A large financial institution is now releasing software six times per day versus once every two weeks. ExtraHop Networks has achieved “meaningful continuous integration” using GitLab by aligning divergent engineering workflows. “GitLab’s value to the enterprise is that it removes all the complexity from underneath the hood, so that companies can deliver software faster and with higher levels of confidence,” said Kuthiala. Download the Continuous Integration Tools evaluation report to learn more.